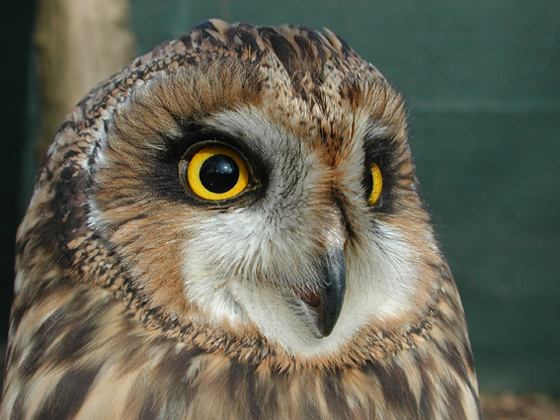 The marsh owl (Asio flammeus) is a nocturnal bird of prey, brown-reddish in colour. It has paler bands on the breast. It has fairly long wings with stripes and a dark spot on the lower surface. It lives amidst cane thickets, alone, and hunts small mammals and birds.